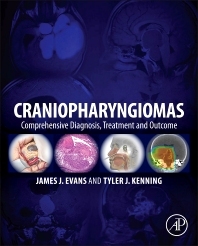 Craniopharyngiomas: A Comprehensive Guide to Diagnosis, Treatment and Outcome is a comprehensive guide to the science, diagnosis and treatment of craniopharyngiomas, rare brain tumors that grow near the pituitary gland. Even though these tumors are generally benign, due to the location, prognosis was often bleak. This reference provides a resource for specialists requiring a comprehensive overview of this rare form of tumor, outlining new diagnostic, imaging and surgical techniques, including endoscopic endonasal cranial base surgery, which enable successful neurosurgical intervention. With a better prognosis, patients require multidisciplinary management from neurology, otolaryngology, radiation oncology, endocrinology, and neuropathology. Practitioners and clinical researchers in the fields of neuroscience, neurology, neurooncology, neurosurgery, otolaryngology, radiation oncology, and neuropathology. Endoscopic Closures: Which Technique is Best? Professor, Department of Neurological Surgery and Otolaryngology, Director, Cranial Base and Pituitary Surgery, Co-Director, Jefferson Center for Minimally Invasive Cranial Base Surgery, Thomas Jefferson University Hospital. Dr. Evans is a fellowship-trained cranial base surgeon, board-certified, and has been in practice for over ten years. He has held numerous prominent positions in national societies, is well-known in the field of cranial base surgery, and is an innovator in the field of endoscopic endonasal surgery. He is well-published and co-authored Clinical Manual of Trigeminal Neuralgia (CRC Press, 2007). Assistant Professor of Neurosurgery, Albany Medical Center. Dr. Kenning is fellowship trained in surgery of pathology of the cranial base and specifically endoscopic endonasal surgery, Dr. Kenning heads the cranial base surgery program at a major academic center in Albany, NY. He has authored many peer-reviewed papers in neurosurgical and neuro-oncological journals as well as contributed several book chapters.